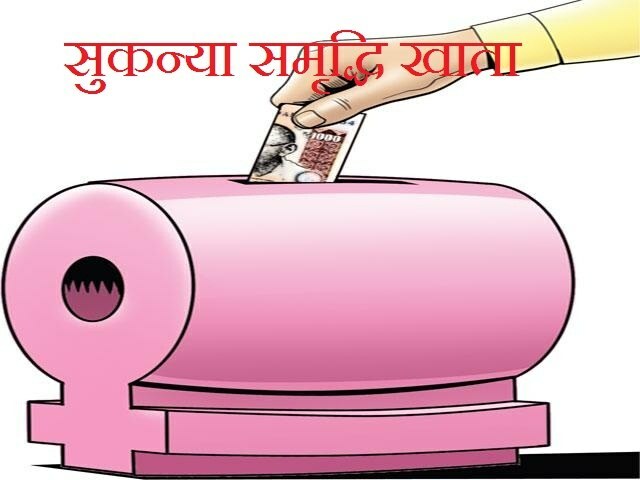 When a guardian or parent is getting such a decent interest rate on Sukanya Samriddhi account and EEE tax exemption under 80C, they are more likely to invest more money into the account. No other investment or deposit scheme in India offers such a high rate of interest along with tax exemption and security for the girl child. This rate of interest is however not permanent and would keep changing every fiscal year based on the economic factors. However, considering the noble intent of the scheme, we are sure that it would continue to fetch higher interest rates than other saving schemes. The higher rate of interest being offered in SSA makes it a preferred choice while comparing it with PPF. The interest rate under the scheme is moreover linked with government bond yield. The SSA would give 50 basis points greater than the yield for 10 year government bonds. Till now, there has been no other scheme which offers the dual benefits of growth as well as financial security along with creating an awareness wherein the girl child is no more a burden on parents and guardians. The Sukanya Samriddhi Yojana, we hope will go a long way in creating better life for the girl child in India. The rate of interest is year by year going down. when govt propose the SSY plan , Rate of interest is 9.1.now it is 8.1.
we havent seen additional benefits compared to other financial plans. Might be coming years, the rate of interest might be 6, 5 ,4….etc. Requesting to mr’ PM sir, please focus on thease plans and support the baby girls in future. If continue the same, people will loose the interest these type of plans. Dear Its not interest rate , literally its inflation , if they pay less interest it means our rupee is strong , if they pay more interest our rupee is weak ,if they pay 12% interest and the petrol price is 200 PL doesn’t mean the scheme is good ,or if they pay 6% and the petrol price is 50 PL both are same ….please understand the basic economics .the only Savings scheme in India having Highest interest rate and 6 month compound is SUKANYA Scheme . Your explanation is totally wrong. If the interest rate is coming down day by day, what will get at maturity time. The Rupee value in 16-17 was 67 and the interest rate was 9.2. Now the rupee value in 19-20 is 73 and above, the interest rate is 8.5. Your explanation in this regard is totaly wrong. You are supporting the cheaters. yes Agreed, it’s looks like kind of cheating and putting more pressure on savings for girl child. The kind of rules are not clear and difficult to stop and withdraw money for other investments purpose. Dear P.M, please make this interest rate constant help girl child fathers. I agree with the above mentioned point. Government starts a plan with flying colours and we people fall in for the promises given then the Govt. loses its focus on the plan and the interest rate is going down and down. May in few years it will become like a savings account without withdrawal facility during lock in period. Then what is the point of investing in Govt. schemes. Even the bank employees do not encourage customers to put bulk amount the this scheme. If Govt. and authorities pay attention it may improve. Mr PM Sir you are playing with middle class girls and families.You proposed this plan for child benefit but what us going on now.please look into it we are loosing interest to deposit more in this plan. Please Increase the rate of Interest for the betterment of Girl child. Yes, you are correct. It is going down and down and down…..please help the middle class. Sukanya is an EEE account, FDs are not. I also request the authorities to keep the interest rate higher than PPF so that this scheme remains attractive to people. Else PPF will become the preferred option. If we assume 2 PPF accounts in one house, and one SSA account, then the total amount that can be deposited is 4.5 L. I think normally after all expenses (including school fees, loans etc), the savings is in the range of 2-4 lakhs. In such cases, the account holder has a choice between PPF and SSA. SSA was preferred due to high interest rate, but if that goes down, then PPF will become the preferred choice considering the lockin period is quite high for SSA. sukanya always had higher interest rate then PPF. I have started the account with 9.1%… and now it is 8.1%… whether my account will remains with 9.1 ? or year by year it will be reduced ? it will be reduced for that particular year. Is it better to Tweet the PM. Will that help? I am a physically challenged person with a Girl child born. I was planning to open this A/c .Went to SBI where I had my SB a/c.The officer said in a utter frustration why you people are crazy for this.Put the money in SBI MFs and you will have sufficient money for your daughter’s marriage.After seeing me that I am not still discouraged he asked age of my daughter and I said 1 year and he asked for Aadhar Card which i didn’t have and Aadhar is not mandatory for this As i knew.I have only Birth Certificate for my daughter. He denied to give me application form citing those reason.Seems they are directed to discourage people to open SSA and redirect them to invest on MF. My question what can I do if my SSA not opened due to aadhar card not ready ?1 year old child cannot have aadhar card.So will I have to wait till the card been made ? They cannot refuse to open ssy account just citing lack of aadhaar card. You can raise an official complain SBI. In the mean while you can try opening ssy account in any private bank so can transfer this account to sbi once things are sorted out. Pathetic. Totally agree with the above comments. Government is cheating us. Started with 9.2 and now its 8.1 which is very bad. We are not seeing an increase at all, if there is some amt of fluctuation quarterly it makes sense but only reductions is what we are seeing. Cheating us poor ppl with such schemes. I have opened a SSA account for my daughter in a post office in Pondicherry. However i would like to transfer the same from post office to Bank of India which i have a saving account and its feasible for me to do online transfer to SSA. When i contacted the post office, they replied me as there is no such transfer facility available. Could you please suggest me in this regard. You will have to raise an official complaint regarding this. Callous officials: even if one shows them rules, including GOI gazette notification, they are not willing to do anything. Unless punitive provisions are made and action taken by higher officials, nothing will move. Whether interest on new deposit in SSY AC starts from the deposit date or after some particular date? fake news on facebook that deposit 1000 early upto 14 years and get 600000 one time after it. pl. look into the matter . girl child problem is big and the rate of interest is low. pl. do something about it. I opened a account for my daughter in 2018. At that time ,it was mentioned on the websites that we have to invest in it for 14 YEARS .but now i come to know this period is extended to 15 YEARS which means same as PPF locking period.In ssa we have to wait for 21 yrs for maturity value ..which is long period as compared to ppf. Also year by year QUATER BY QUATER rate of interest is GETTING DOWN. I also experienced the bank employees didn’t encourage any people to open ssa. So its humble request to respected PM ,kindly pay attention to this govt. Scheme .otherwise people will lose interest in it. Quite Disappointment with this kind of plan by Govt, Just attract to the parents and late keep in cold bag. no focus from such initiative from govt…Finance Ministry should revised the rate of interest or keep it fix else people will not be depositing their money in this kind of plans. The rate of interest is year by year going down. when govt propose the SSY plan , Rate of interest is 9.1.now it is 8.1. just as cheating PM Sir. I posted comment on uncooperative attitude of State Banks on SSY accounts on 25July 2018 and it was visible then, now I find it missing. What is the technique or matter? Really, It is very embarrassing that interest is falling every year. When the scheme was started a dream come true as felt those have baby girl. I request our Prime Minister to look into this scheme. Dear all – the SSY rate moves in conjunction with government bond rates which in turn depend on the RBI policy and current inflation rate. Therefore, the rates are not completely in the control of the government and hence it is not fair to blame the government. The govt can be lauded for launching this scheme and continuing with it over the past many years. Please read carefully, any interest calculation happens at the 1st of Apirl of each financial year, the interest will get reduced if you pay monthly basis. At initial stages this was not clear and Govt have to educate people on the calculation. A normal formar/layman can’t understand these calculation and he will get disappointed badly at the end, which may leads to more complications on their life. Calculations are very simple and clear. PPF accounts have been following these norms for last 20 years and there has been no complaint regarding this. Very true with everyone it’s feel that PM sir only playing with the emotion of common peoples who are dreaming about the childs .I think talking about development and safety and specially Save girl project that all are only election stunt …. else the interest would have not been decreased with such a rate. you have to pay till she is 8 + 14 that is 22 years. i see only selective comments are answered by SUKANYASAMRIDDHIACCOUNTYOJANA that is the favor of the scheme. This looks to be cheating only. Take money from people, get it invested somewhere, get more money and give only few to people who have this account. Interest rate 9.1 when launched was just to attract people. The policy here is you cannot withdraw the money if in future the interest rate drop. People are stupid including me. There should be a policy the interest rate wont drop below 8 % or similar, then it makes sense to invest in such policy. Shame on Government for fooling people.